It took over seven years, but the Bluths are finally back! Starting this weekend, Netflix will stream 15 brand-new episodes of Arrested Development, one of the most critically-acclaimed and beloved comedies of all time. So fire up the Cornballer, cover yourself in blue paint, and get ready to taste the happy – here are nine content marketing facts, tips and ideas inspired by our favorite dysfunctional family. The banana stand may have burned down (along with over $200,000 that was lining its walls), but most B2B companies these days have better ideas for their money. Last year’s trends report from Content Marketing Institute revealed that 54% of B2B marketers expected to increase their overall content spending this year – proof that interest in content marketing is hardly going up in smoke. Lucille may revel in ignoring others when it suits her, but content marketers don’t have that luxury. While quality content provides a great way to engage with your audience, it’s not a one-way street. By listening to customers and answering questions via social media, blog comments, etc., you’ll be able to create stronger relationships and identify new opportunities for content resources that are truly valuable to the people you are targeting. Also, never start your day with a glass of vodka and a piece of toast. It will just make you grouchy. While Gob certainly has a complicated relationship with his siblings, it’s nothing compared to the disconnect between marketing and sales at some organizations. For a content strategy to be truly successful, sales and marketing alignment is key. After all, sales reps spend more time than anyone dealing directly with customers and prospects, and that insight is critical to creating content resources that resonate. Like Michael and Gob, content marketers and salespeople may be different, but they are still part of the same family – and family sticks together. Despite Lindsay’s protests, the Bluths did just fine without the excesses they were accustomed to (OK, so “fine” might be open for interpretation). Similarly, thoughtful content marketers do more with less every day. For small teams especially, repurposing existing resources into fresh new formats is a great way to expose your messages to new audiences and get more for your content marketing buck. Video in particular has opened up lots of new doors for marketers looking to get more out of their most valuable content and topics – and it won’t cost you a million diamonds, either. 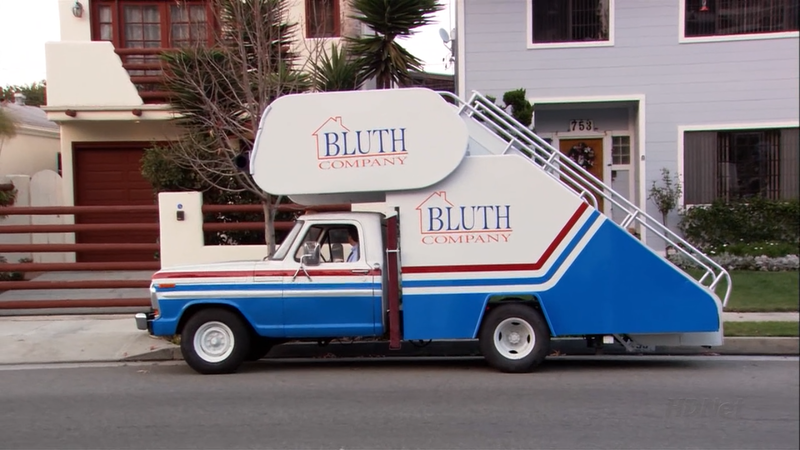 There’s no denying that the infamous stair car attracted its fair share of attention for the Bluth Company – but that’s not always a bad thing. While content marketers spend a lot of time creating non-promotional thought leadership resources, branding can’t be overlooked. This is still marketing after all, and if you’re content isn’t increasing awareness for your business and driving new opportunities, it’s seriously missing the mark. Boosting traffic is great, but don’t forget about compelling calls to action, company images, and other elements that can help effectively drive more business (just watch out for hop-ons… you’re going to get some hop-ons). One of Maeby’s more ridiculous ploys to get out of school didn’t last long, and she was soon on to her next scheme. For content marketers, it’s equally important to evaluate the success of your strategy to see what’s working and what isn’t. Are some topics generating more traffic than others? Is your new call to action not converting as well as the old one? By creating measurable assets that can be tracked with analytics, marketers will be more likely to invest their time on things that are truly adding value, and continue to fine-tune the areas that aren’t performing. Like an 80 million dollar movie without an ending, some things require adjustments as you go. To be honest, it wasn’t easy finding a Tobias quote that was appropriate for this article – but that’s what makes him so great, isn’t it? Thankfully, his decision to help Lindsay make a parody of a popular video franchise falls very much in line with an often overlooked content marketing technique – humor! Video marketing especially creates a lot of opportunities for brands to loosen up and have some fun with their audience (and it also happens to be one of the best ways to create more viral, shareable content). So don’t be afraid to bring the funny! OK, so I don’t have a content marketing parallel for this one, but really, could there be any other quote for Buster?